customer to give consent to cookies on your site. *Note that this tool will be available in 3rd generation of GoodLayers’ themes only. The General Data Protection Regulation (GDPR) is a legal framework that sets guidelines for the collection and processing of personal information of individuals within the European Union (EU). The GDPR sets out the principles for data management and the rights of the individual, while also imposing fines that can be revenue-based. The General Data Protection Regulation covers all companies that deal with data of EU citizens. 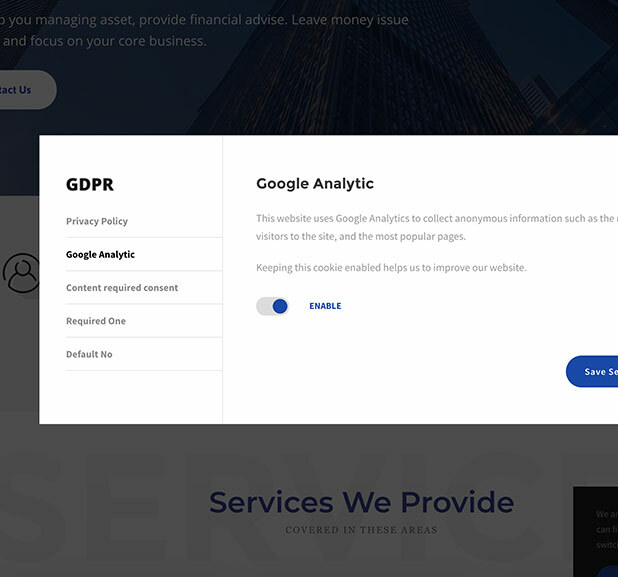 When your site uses the service like Youtube or Google Analytic, those services use cookie to track user’s activities and the data will be sent back to the service provider and this make your site not compliant with GDPR. GDPR states that users will need to give a consent for this activity first. GoodLayers’ GDPR Tool will help you get through this. 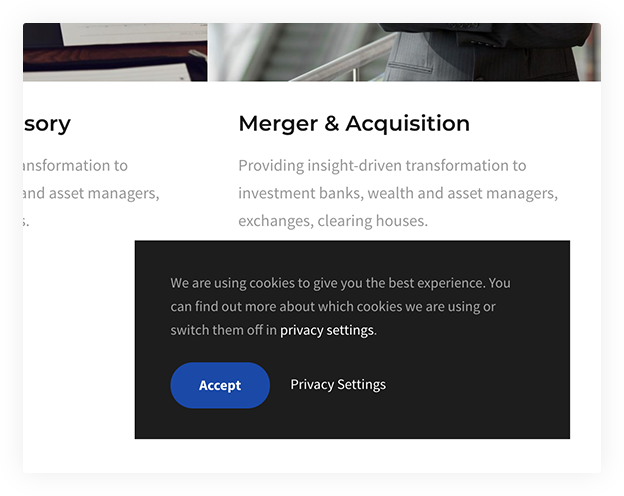 Cookie Consent box will let user to accept the term & privacy statements of your website when they entering your website. This tool is a cookie consent tool that will allow user to give consent on particular cookies. For example, you may put the embedded code for Google Analytic and another for marketing. 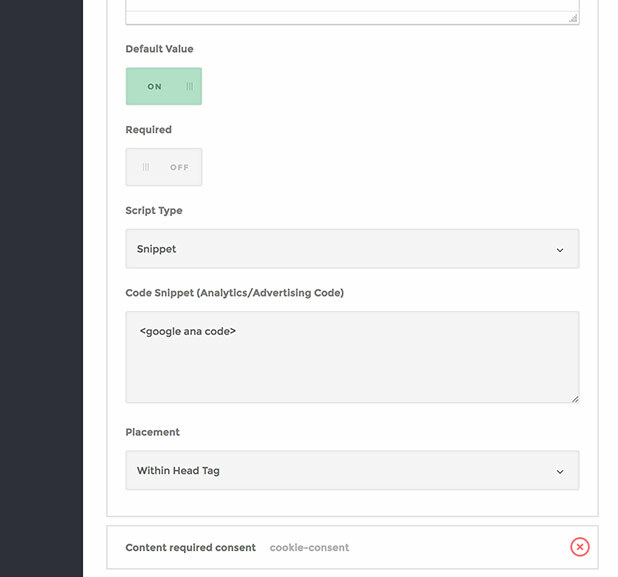 Now, user can decide to give content separately on each one. This awesome tool will unlock the limit of content blocking. Now you can choose to block only some part of content by assigning the chosen wrapper in GoodLayers’ page builder. If users needs to view the content, they will now have to giave a content first. *Note that by using this tool does not guarantee you fully comply with GDPR. GDPR compliance is all about how you set up your site. We suggest you contact law firm or GDPR consultant to assess necessary measures.